Emergencies call 999 - alternatively non emergency reports can be made to police by calling 101. 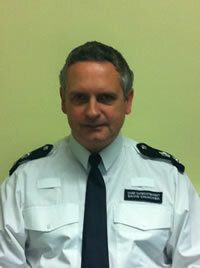 Wandsworth police now have over 1100 followers on Twitter. The account is used to keep residents, workers and visitors to Wandsworth up to date with what their local police are up to. @MPSWandsworth ‘tweets’ regular updates in relation to policing, crime and safety on the borough, from appeals, news, arrests, and events in Wandsworth.
" We are keen on engagement and customer service. Social media really helps us with reaching previously unreachable communities and people"
To get Wandsworth police tweets, you will need to sign up to Twitter, then search for @MPSWandsworth to follow them. Please do not report crime on Twitter, ring 101 or in an emergency 999.